light up, and the error cause is indicated as plain text on the display. In addition, there is a 24 V DC signal present on the terminals 16-17 for an external alarm signal. or downscaling function, as well as a precontact. 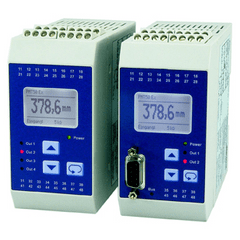 The Monitoring Relay MR50 has inputs for industry standard signals 0/4 ... 20 mA and 0/2 ... 10 V DC. Measuring value and programmed unit are shown in the display. The integrated transmitter supply offers direct connection of loop powered sensors. 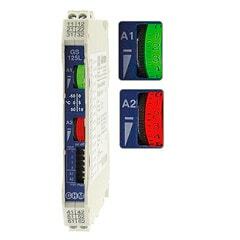 Simple programming, up to 4 alarm outputs (SPDT) and optional available fully isolated freely programmable analog output 0/4 ... 20 mA; 0/2 ... 10 V DC meets the demands of different applications. Peak value indication for minimum and maximum measured values are stored in the background and can be read out from the display at any time. Limit value switches of the series GS125 are used in switch cabinets for process monitoring or for simple process regulation. and resistance are used as control signals. In the process, 1 or 2 limit values can be monitored. stock requirement for various applications. The housing width of only 12.5mm enables space-saving installation in the switch cabinet. depending on the switch status, also enable operating in dark environments. transparent adhesive labels are supplied. They can be glued between the adjusting wheels on the front panel. 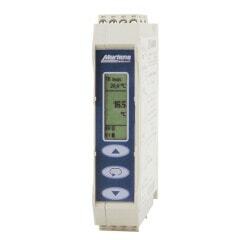 The programmable universal transmitter PMT50 operates with analog input signals. Optionally a serial interface is available. 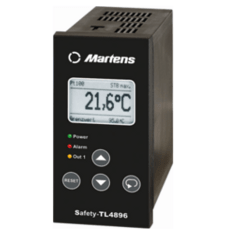 The device offers a linearisation function for any sensor curves and a simulator function. The integrated transmitter supply 24 V DC max. 30 mA allows the feeding of 2-and 3-wire sensors. 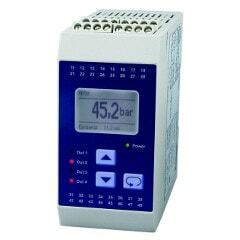 4 alarm outputs for monitoring and controlling are available. the supply voltage etc. ), the STL50 switches off without delay. indicated as plain text on the display. using an external contact. In addition, the STL50 optionally has an programmable analog output with up or downscaling function, as well as a precontact. freely defined within the measuring range of the temperature input.